A community of approximately 5,000, Hinesburg was named after its first Town Clerk, Abel Hine, in 1785. The town is known primarily for its agriculture but boasts growing businesses as well. The Recreation Department in Hinesburg holds a summer concert series in the park, as well as a Fourth of July celebration and parade, and several sports programs on its soccer and baseball fields. Hinesburg Community School is a combined elementary and middle school on Route 116. The Champlain Valley Union High School is also located in Hinesburg and serves several surrounding towns. 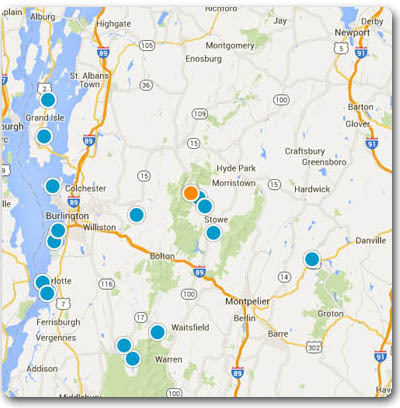 For more information on the different Hinesburg VT homes for sale and real estate. Greater Burlington Homes provides the best search by attributes.